Does culture evolve like nature? Bojan Sarcevic seems determined to find out. His oeuvre reads like an attempt to test Darwin’s theory of evolution on various cultural phenomena: clothing, music, design. 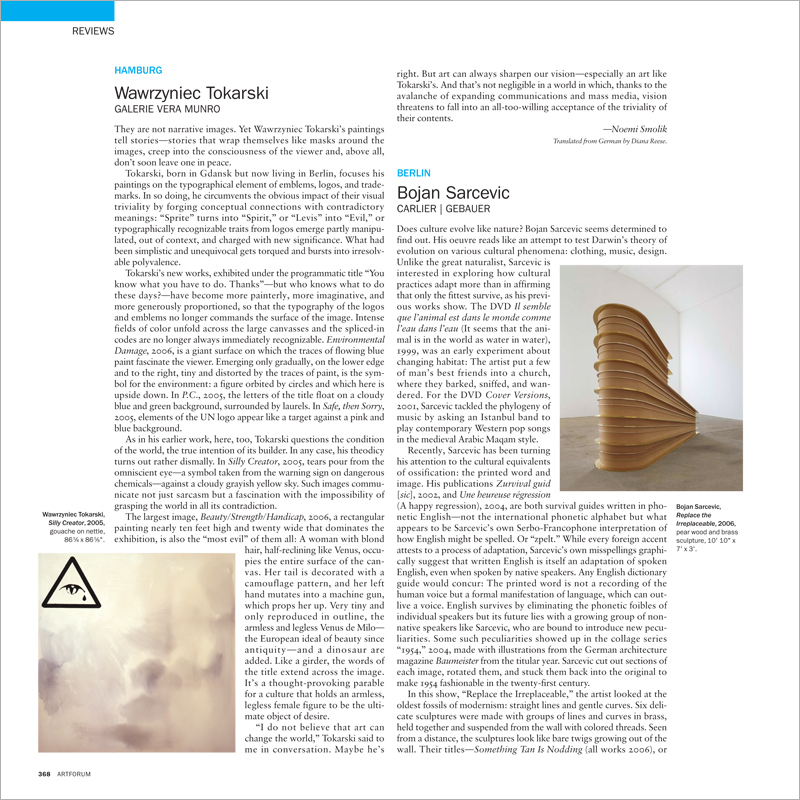 Unlike the great naturalist, Sarcevic is interested in exploring how cultural practices adapt more than in affirming that only the fittest survive, as his previous works show. The DVD Il semble que l’animal est dans le monde comme l’eau dans l’eau (It seems that the animal is in the world as water in water), 1999, was an early experiment about changing habitat: The artist put a few of man’s best friends into a church, where they barked, sniffed, and wandered. For the DVD Cover Versions, 2001, Sarcevic tackled the phylogeny of music by asking an Istanbul band to play contemporary Western pop songs in the medieval Arabic Maqam style.